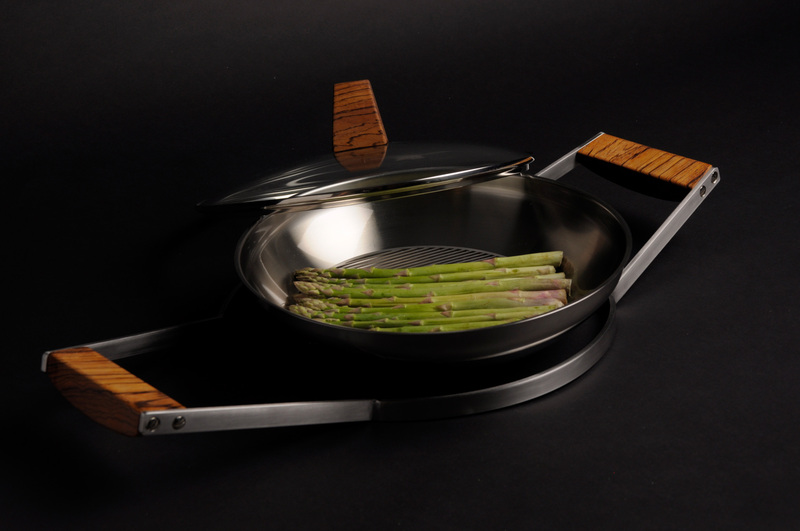 Vapot is designed as a grill accessory for Weber-Stephen charcoal grills and enables you to steam different dishes on your grill. 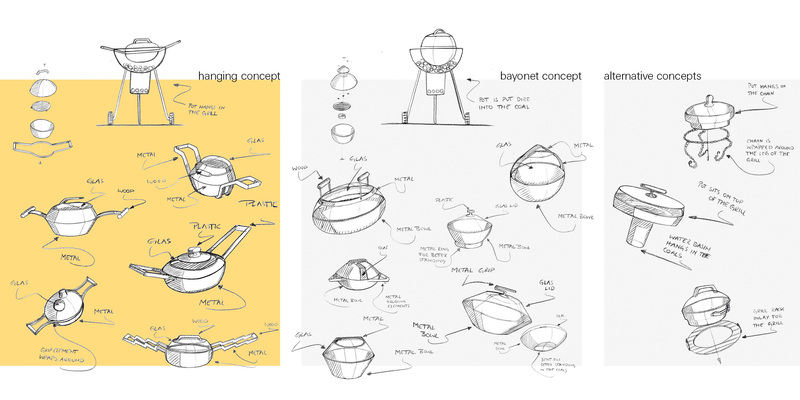 Vapot consists of a main body, where the food can be steamed, and a handle element. With a width of 65 cm the handle construction allows the use on three different diameters of the Weber-Stephen charcoal series. 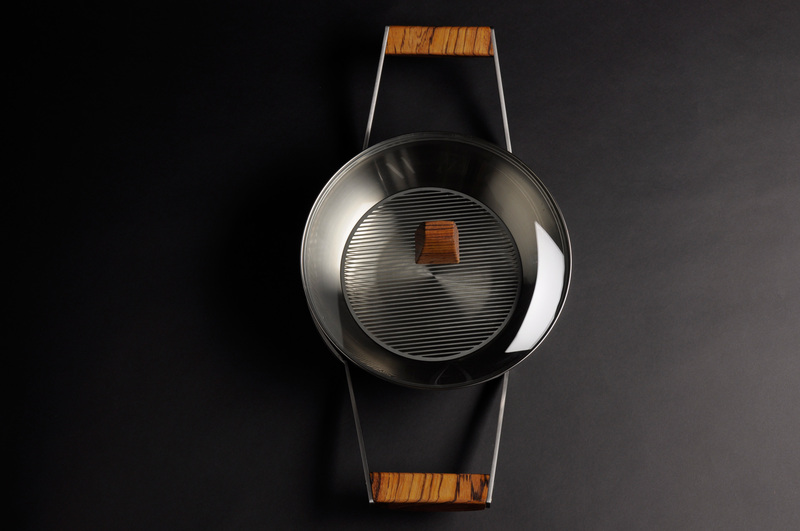 The main body is formed by a bowl of stainless steel and a glass lid, to enable you to keep an eye on the dishes. The food lies on a grilling rack above the water basin. The spherical form enables the condensed water to run back into the water basin so that it can be used again. 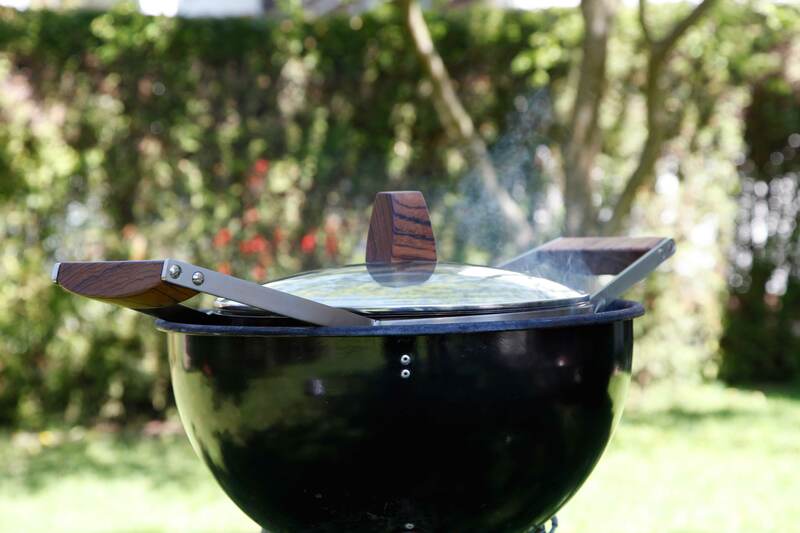 Having a barbeque is a social event that takes place around the grill. There are many things that can be prepared on a grill. However, some dishes, like steamed vegetables or deserts can’t be grilled and often have to be cooked separately in the kitchen. This is distracting for the party as some have to work in the kitchen, while the others are having a great time around the grill. 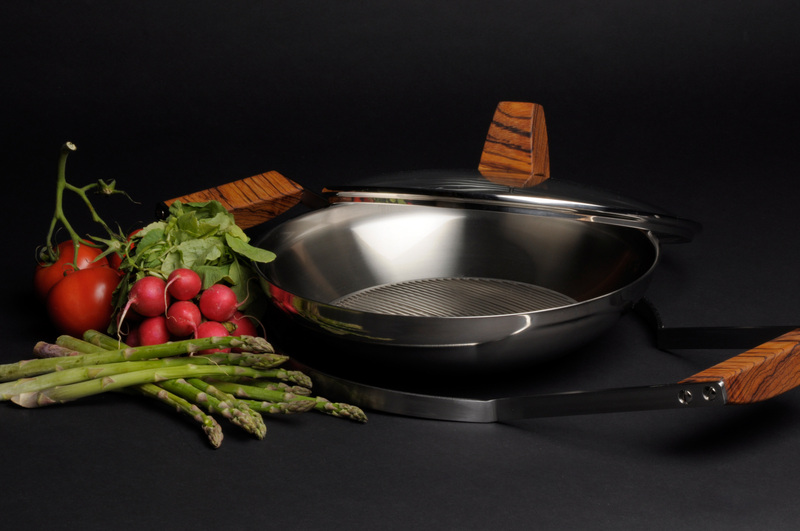 With the possibility to steam your food, Vapot solves this problem by offering the preparation of a full meal on the grill. 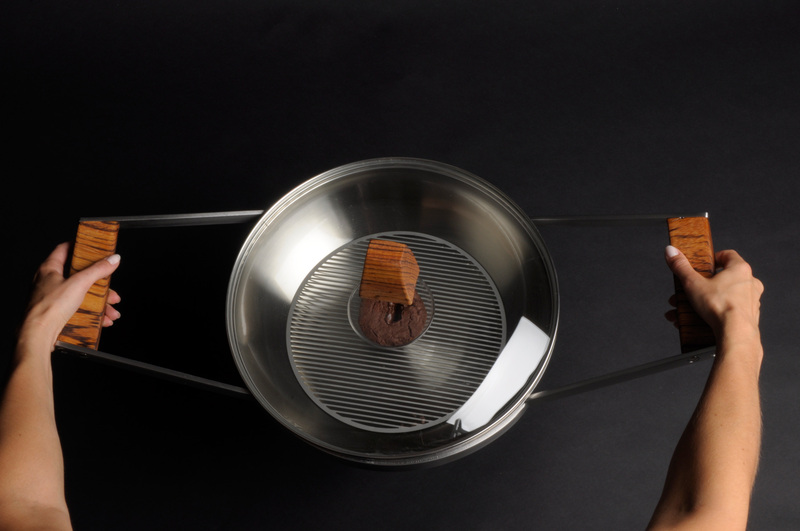 A speciality of Vapot is the preparation of excellent desserts like a soufflé.